IPredator is a sturdy, privacy focused VPN service that takes their customer's privacy very seriously. There is a restriction in the number of locations and there is no proprietary application, but considering the performance and the privacy level, we still feel they belong in the top part of the VPN services. IPredator VPN is a service based in Sweden launched at the end of 2009, incorporated in Cyprus, founded by Peter Sunde, the infamous former Pirate Bay spokesman. The name “Ipredator” is a response to the IPRED law in Sweden, which allows copyright owners and law enforcement to request personal information about people suspected to be involved in copyright infringement. IPredator provides OpenVPN and PPTP VPN access on their single location, in Sweden. OpenVPN connection can be made on any ports except for 22 (ssh) used by their admins. Encryption strength is AES 256-bit. They claim in their FAQ page that SSTP and L2TP protocols will be available by the end of the year. They do not provide a custom-built VPN connection software but the tutorials for OpenVPN GUI and other connection software including OS built-in are very easy to follow. IPredator VPN pricing starts at $8 for a month of service, or 6 EUR. Prepaid options are available for 3, 6 and 12 months. No discount is available for paying in advance, so the prepaid price for one year of service is 72 EUR or around $100. Payment methods include Bitcoin, Payson and Paypal. Payson is a popular payment method for Scandinavian users but it doesn’t accept credit cards anymore. IPredator is also known for having problems with Paypal in the past, who had frozen their account temporarily. A free 3-day trial is available on request if you send them an email. They state in their FAQ page what kind of information they collect and how they store it. They store connection logs for debugging purposes off-site. We appreciate the level of transparency when it comes to detailing what kind of information is stored. IPredator also clearly state that they won’t hand over any customer information to anyone, unless those demanding the information are the Swedish authorities and can prove that the reason why they ask for customer information is very serious, like a murder case or serious fraud. 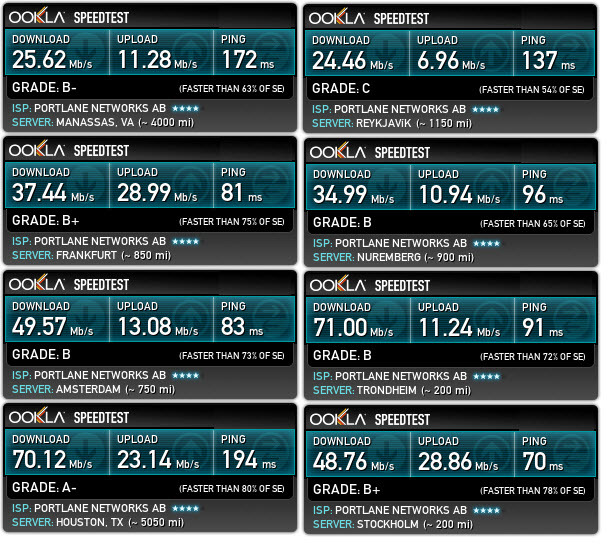 Speed was very good in all our testing, in the range of 30 Mbps to 70 Mbps, and we rarely experienced connection drops. IPredator provides support via email, IRC and jabber service. We asked a few questions by email and IRC and the staff replied in a timely manner. Ipredator is a solid privacy-focused VPN service and their affiliation to Pirate Bay is a guarantee that they are serious about users’ privacy. Because they provide access in a single location and some other limitations mentioned in our review, we are forced to rank them lower than some competitors. We rate IPredator at 7/10 but we highly recommend it if you’re fine with sticking to a single location. Great review, thanks for that! But why is “No custom-build VPN software” under Bad? For me it’s a huge plus that they use a standard and open source client. Using several VPN services, I don’t have to install a new client specifically for this service. Also I know that the community will keep the client updated, secure and supporting the features I need. lacking a key feature is a “huge plus” ? 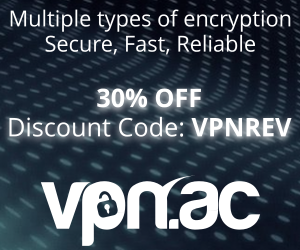 With any VPN service that has its own software you can also choose not to use it and rely on the basic OpenVPN GUI, which lacks important features, btw (kill switch, DNS leakage prevention and so on). Having an extra option is a plus. Nobody is forcing you to install a custom client.